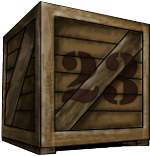 In addition to our physical products, Warehouse 23 offers a host of digital products. When you purchase a digital item, we send you a download link in your email. A drawback of buying digital products is that if something goes amiss, you might have lost your purchase. Knowing this, Warehouse 23 gives registered users some insurance to combat these unfortunate scenarios. If you're a registered customer, we'll keep a record of every digital file you’ve purchased when logged in. You can always log in to your account and re-download any or all of the files you've purchased. As an added bonus, you'll get a notice if we update a file (if you've chosen to such receive notices), and you can download the new version from your account page. To read a PDF, you will need a program that can read that type of file. The most common is Adobe Reader, but if you don't already have Adobe Reader, you can download it free. A number of other free programs also exist, such as FoxIt or Preview, and they can also be used to read PDFs. When you download a file, you can print it out, or just read it on the screen. Q. I forgot to log in before placing an order. Can you add the order to my account? A. Yes. Please contact us with your username and the order number. As long as the email address on your account matches the email address used to place the order, we'll be happy to update the account information so that you can enjoy the benefits of registration. Q. If I buy a file and hate it, can I get a refund? A. Unfortunately, after you purchase and download a product, we cannot provide a refund since this would be very easy to abuse. We feel we provide ample information about our digital products to ensure that you can make an informed purchase. We will always do our best to assist you if you find that you are experiencing issues viewing your product. Your feedback on our products is also helpful and will help us make decisions on what we should make in the future. Q. I thought I was buying a book, not a digital file! Will you refund my order? A. If this happens, notify us immediately and do not download the file. We try to do our best to provide a refund, but if the file has been downloaded, we cannot offer a refund. Q. Where can I send errata? A. For a Steve Jackson Games product, send comments and errata to errata@sjgames.com. For a product created by someone else, send comments and errata to the original publisher. Contact information should be in the product itself. Q. Can I have a copy shop print up a copy of a file I bought? A. Yes, you can have one copy printed for personal use, whether at home or through a copy shop. If the copy shop needs proof that you have permission, you can point them at this page, or write us at orders@warehouse23.com for official permission. Q. Can I repost these files so others can use them? A. No. While we do not lock these files digitally, we request that you do not share these files with those who have not purchased them. If you find someone who is hosting our files online, please email netcell@sjgames.com so that we can have them removed. Q. What about making printouts for my play group? A. Our answer is "If you bought things to use with your play group, and you need to make copies of part of the material to have a good game, go ahead." It is also possible to buy multiple copies of a file if you want to print out the full book for multiple people to have (though that might get a bit hard on your printer). Q. If you have no copy protection, how can you enforce all this? A. If we find a serious piracy operation, we'd try to close them down. Please email netcell@sjgames.com if you find our content being hosted on other sites and it appears to be unauthorized. Helping us with this will make sure that we continue to provide a restriction free service. Q. Can I write something for Steve Jackson Games to sell through Warehouse 23? A. We welcome submissions. See our Authors' Guidelines. Q. I'm already publishing my own digital game material. Will you sell it in Warehouse 23? A. Maybe! We'll be glad to evaluate what you have published and see if it fits our store. Please contact e23orders@sjgames.com for more information. Q. What out of print SJ Games books will you be releasing as PDFs? A. Our plan is to release as many of our back catalog books as we can in PDF format. Unfortunately, circumstance prevents us from including literally every book. The licenses on some books (such as the GURPS Conan line) have long since run out, and we cannot make those into PDFs. But we will do our best to ensure our catalog gets uploaded digitally over time.